My name is Ljubica Zec. Since I was born I have ability to see what is happening in the future. 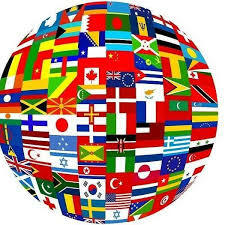 countries in the World what happen in the World. Professionally I do this job more than 35 years many people around the world are contacted me. I can exactly see to every person future , love, marriage, relationship, health, also exactly organs illness. method of treatment what is good or what is no good. Hello everybody, I have ability to see what is happening in the future. of the earlier 3 years to 2 years a few days of events in the world. 1) Mars has water being scientifically proven 5 years earlier. Climate change on our planet highly developed civilization from space sheds his waste on our planet they do not like us scientific being evidence. 2] 2 years earlier that Putin will become president of Russia. but not with chemical or nuclear weapons. After 2-3 months they started problems in Ukraine. 4) There was some talk that there will be civil war in Ukraine . of Ukraine within the feld of Poland. 6) That Krim becomes part of Russia. also the territory of Europe trough the war. this year and not in the next year. W W 3 third war in the world be starts in 2030 years. to this day that are not exactly interpreted. Many have written and written. sure that this is the correct interpretation. to interpret them ever quite right. And his relationship with a higher power is absolutely true. In that way, and acted as his voice saying that he constantly listened. had the incredible ability of hypnosis …. who had the gift of prophecy, when the blind. He was born with that kind of power. He seen more clearly earlier ..
and later it appears that the interpretation is not true ..
and cease to impart ..
That moment when Force Majeure person say that it stops working. and publicly announced and speech. and one of these was the start of World War III ..which is completely untrue. not need to speak or write anything. Some crisis situation will be. certainly will not start ..
and the people can not be stronger than the higher powers. and why the First World and Second World War lasted four years? and to stop talking, I had to stop. Communication to the higher powers. Connection with them would then be broken. Maybe it’s been said, and Edgar Cayce, Wolf Messing. Force Majeure are safe and told them to stop working. I know that from my work, and because I just know it. should not be considered for accurate predictions, as well as Vanga should not be taken as a true fortune. You tube what will happen in the World. every Country in the World in the future.